Three dimensional, or 3D, printing is much more impressive than most people realized when they first heard of the process. A 3D printer can function in one of two main ways. In one type of 3D printer, the printer takes a computer rendered image and then cuts out a design from a block of material, usually made out of some type of polymer. This design works similar to high priced C&C routers and is known as a destructive construction process. The reason it is called a destructive process is because, much a like a sculptor working with a block of marble, material is chipped away until the intended design is formed. The really impressive form of 3D printing involves a process where the print heads create the item through emitting layer after layer of material until the design is complete. Not only can these designs be completely customized one at a time, because no construction run is required, they can also create interlocking pieces at the same time. For example, a 3D printer can print a series of interlocking rings without the need for any break in the metal or joint to link the rings, since they were constructed that way. As our Boston knee replacement injury attorney can explain, the idea is that 3D printing for joint implants can create a new artificial hip or knee joint that is customized exactly as needed for the patient. If this is done correctly, there should not be any movement in the joint, which is a major reason these devices have tended to fail in the past. While these techniques may be new and helpful as described in a recent article in the Baltimore Sun, they are still depending on the knee joint being designed properly, and the company having done enough safety testing to determine long-term viability of the artificial knees. As we have seen in the past with defective products from Stryker and other companies, no matter how well a surgeon is able to implant the artificial knee, a defectively designed knee can become loose, fall apart inside a patient, cause extreme pain, and ultimately need to be replaced with another artificial knee. 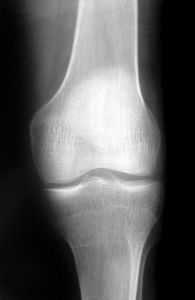 In come cases, companies have even issued recalls of defective artificial knees. It is hard to imagine being a patient being told their knee is defective and must be replaced. When we think of how angry the Volkswagen Turbo Diesel (TDI) owners are now about having to ultimately get their car recalled, at least they don’t need major surgery to get a new model. Not only does a victim of a defectively designed knee need a second surgery, they will have to undergo a second recovery period. This means more pain and more missed work. Even if the company will pay for the new knee, who will compensate you for the pain and suffering and missed work? For this reason, your defective knee attorney can file claims for lost wages and pain and suffering in addition to the actual cost of the new surgery.